If you’ve noticed a bad smell, then you need an antimicrobial carpet cleaner. For extreme odours, we highly recommend using an odour neutralizer. For organic waste, sewerage and pets, to fire and flood damage, an extreme clean will be needed. Antimicrobial cleaners are specifically designed to penetrate and eliminate foul smells and give your customers a safe working or living environment. Using Whyte’s antimicrobial cleaner will ensure that bacteria and spores are quickly destroyed, while mal-odours in the air are absorbed and neutralised. Not only that, it also leaves behind a pleasant, lemon scent. Can I use this to sanitise? If you need to provide your customers with a deeper clean, you’ll need to use a stronger chemical. Our premium detergent is specifically designed to destroy bacteria, viruses, spores, moulds and yeasts. 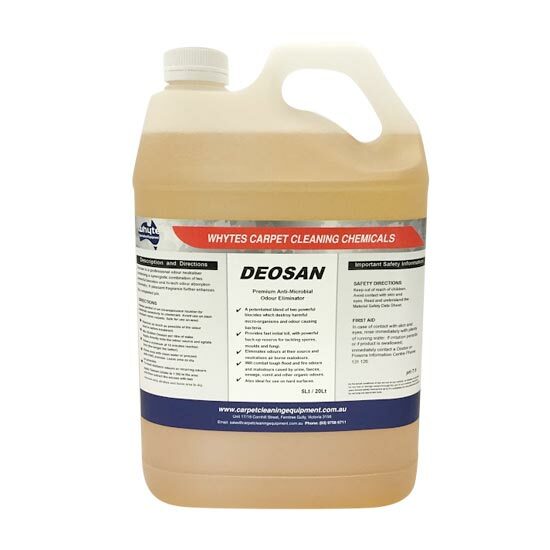 This antibacterial carpet cleaner works by combining biocides and specific potentiator chemistry to effectively destroy a wide range of micro-organisms, viruses, mould and odour causing bacteria. If you’re using Whyte Specialised Equipment’s signature blend as antibacterial carpet shampoo, you can rest assured it will be carried rapidly and deeply into the affected area with its dynamic wetting agent. 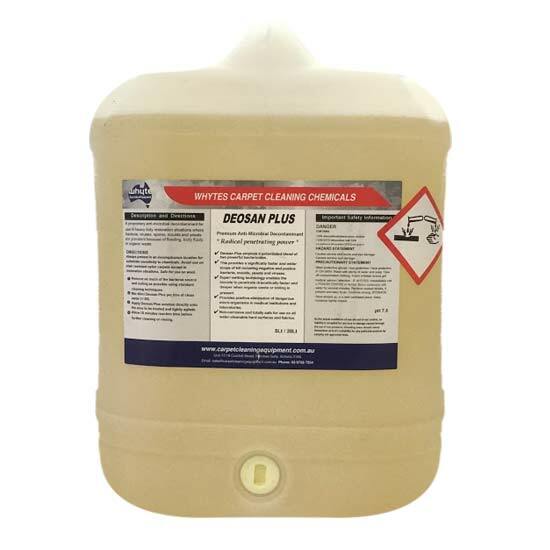 This enables the biocide to penetrate deeper into bacteria, porous underlying fabrics and fibres, and provide a more intense clean than traditional disinfectants. We recommend a deep clean for hospitals, medical centres, aged care facilities, pharmaceutical manufacturing facilities and many community establishments. If your customers need a thorough clean for high-risk areas, then you can’t go past our range of antimicrobial cleaners. Based in Ferntree Gully, our antimicrobial to businesses across Melbourne, Canberra, Sydney, Brisbane, Darwin, Perth, Adelaide and Hobart – and across regional Australia.